Vincent van Gogh (1853–1890), The Potato Eaters (1885), oil on canvas, 82 × 114 cm, Van Gogh Museum, Amsterdam, The Netherlands. Wikimedia Commons. What we see today is vastly different from the world of our ancestors. Yet when we look at paintings from two hundred or more years ago, we view them with modern eyes, and modern brains behind them. It is second nature now that, if we see one edge of an object with linear blur, we interpret that as arising from its motion. Yet before the introduction of photographic images, no human had ever seen motion blur. It is an artefact arising from a relatively modern technology, a result of camera shutters and exposure times, not something present in nature, nor in our mental processing of images. To an Old Master or their patron, motion blur would have been meaningless. We cannot unlearn our rich visual experience in order to better appreciate older paintings, nor should we attempt to do so. What I am going to attempt in this new series of articles is to provide some insight into what has changed, and when, so that we find ourselves better able to understand the artist’s intention. It is as much an exploratory journey for me as I hope it will be for you: I have been looking for reference material on this topic for some time, and have failed to find any of value. I thought that I might have been pre-empted by Mark Cousins, whose recent book The Story of Looking could have covered common ground; marvellous though it is (and I highly recommend it as a journey through images, including many paintings), he does not seem to have tackled these issues. There is no painting without light, and much of painting celebrates and explores light and its effects on figures, objects from the world around us, and that world itself. Over the last few hundred years, human exposure to lighting, and our lit environments, have changed more obviously than anything else as important. Creator not known, Light pollution in Europe, 2002, further details not known. Wikimedia Commons. I love flying in a clear sky at night, looking down at the densely-lit areas in cities, and scattered pinpoints out in the wilds. 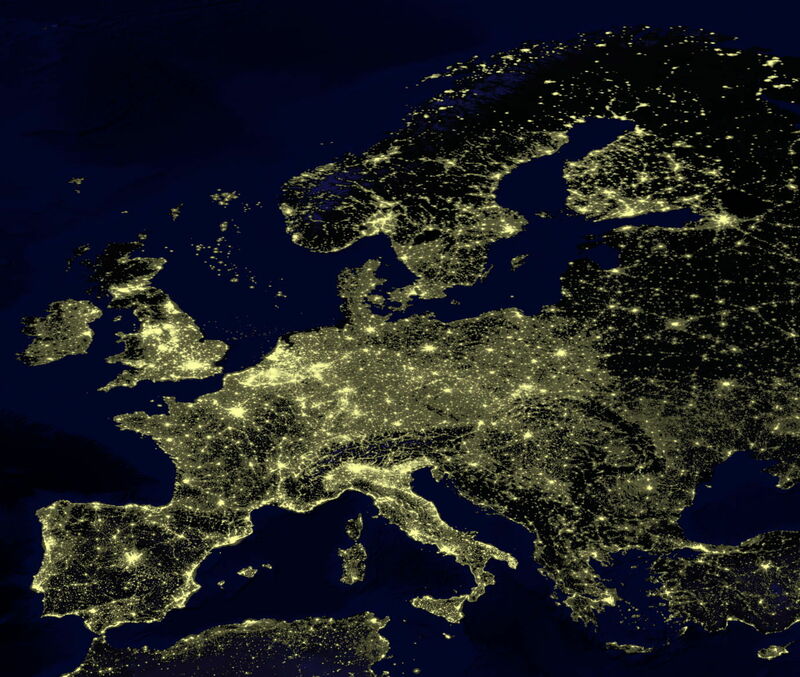 Some of the most remote places are no longer fully darkened at night, as this image showing light ‘pollution’ in Europe in 2002 demonstrates. Three hundred years ago you would barely have been able to see anything apart from the earth’s dark albedo. Nalilord, Tokyo streets by night shot from Tokyo Tower (2011), photograph, further details not known. Image by Nalilord, via Wikimedia Commons. 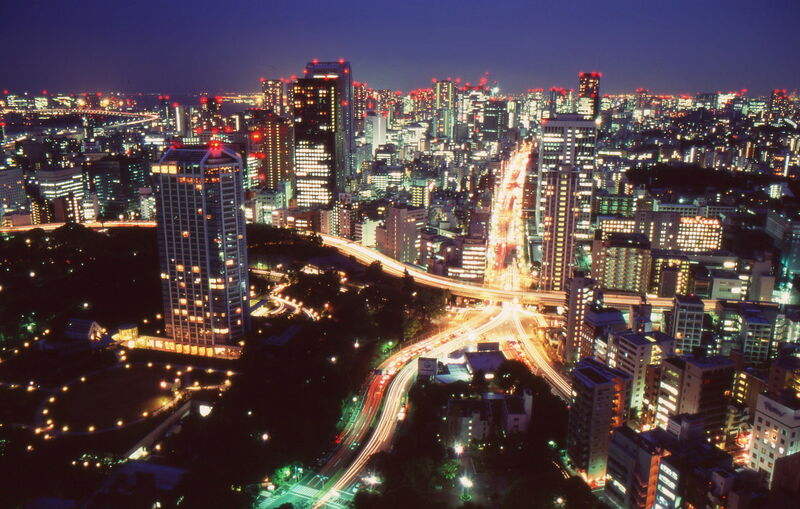 The great cities of the world, like Tokyo, are now light twenty-four hours every day, irrespective of season. During the winter, the most populous parts of Europe and North America have limited periods of daylight, and heavily overcast skies often greatly reduce available light. Today we simply switch the lights on. The city of Paris has led the world in the introduction of street lighting: its first light, a candle lantern, was installed in 1318, and by 1669 the few street lights were being lit even in moonlight during the winter months. Paris installed its first gas lamps in 1829, each providing the equivalent light of ten candles. By 1870, there were over twenty thousand gas street lamps across the city. Electric ‘candles’ were first introduced in 1878, and by 1900 there were over fifty thousand street lamps, most either incandescent gas mantles or open arc lamps. Georges de La Tour (1593–1652), Penitent Mary Magdalen (1628-45), oil on canvas, 113 × 93 cm, Private collection. Wikimedia Commons. 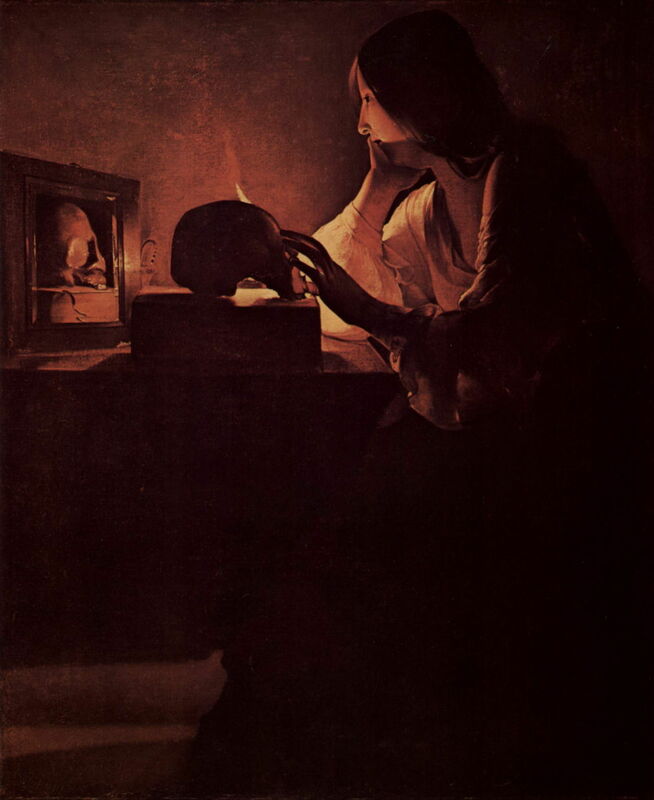 Whether wealthy or poor, the subject of this Penitent Mary Magdalen 2100 years ago, or the artist Georges de La Tour when he painted her in 1628-45, the staple forms of light were candles and oil lamps. These emitted around a candlepower of luminous intensity, in modern units about 1 candela. 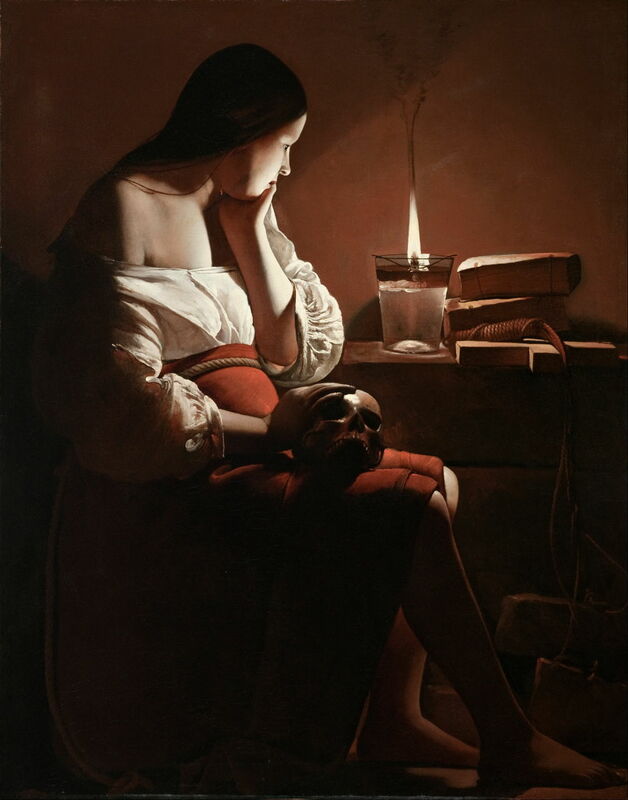 Georges de La Tour (1593–1652), The Magdalen with the Smoking Flame (date not known), oil on canvas, 117 x 91.8 cm, Los Angeles County Museum of Art, Los Angeles, CA. Wikimedia Commons. 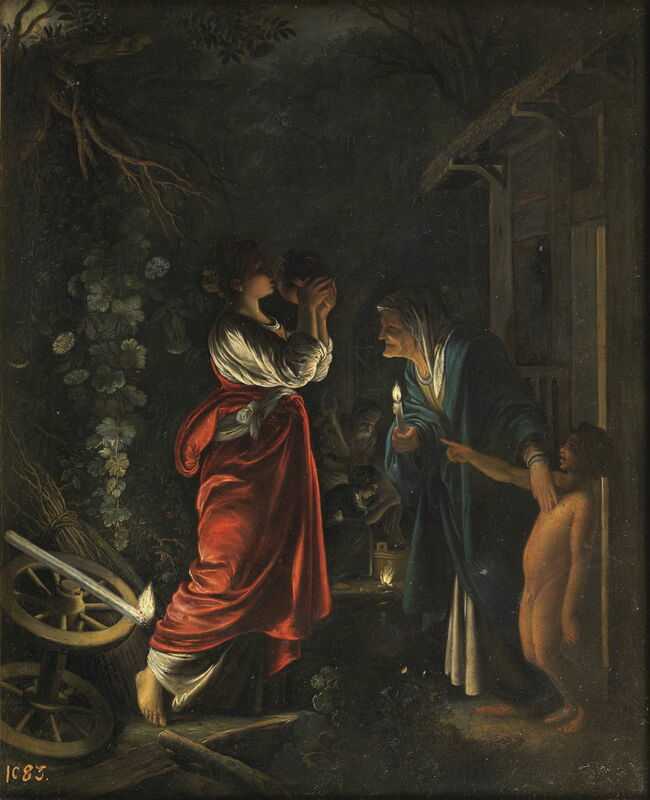 The larger floating oil lamp shown in de La Tour’s The Magdalen with the Smoking Flame must have been a little more powerful, perhaps the equivalent of two or three candles when it was working well. Adam Elsheimer (1578–1610) and workshop, Ceres at Hecuba’s Home (c 1605), oil on copper plate, 30 × 25 cm, Museo Nacional del Prado, Madrid, Spain. Wikimedia Commons. If you were a goddess like Ceres, as shown in Adam Elsheimer’s Ceres at Hecuba’s Home (c 1605), you might have had an even larger candle, but it wouldn’t have come close to the 10 candelas of early Parisian gaslights. 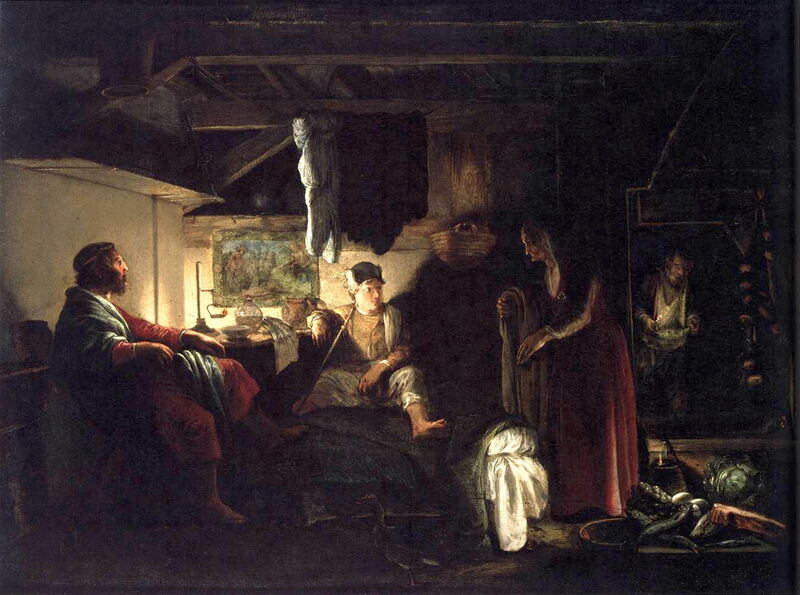 Elsheimer’s marvellous painting of Jupiter and Mercury with Philemon and Baucis from 1609-10 gives a very good impression of what would have been quite good everyday indoor lighting prior to the introduction of kerosene lanterns from about 1850. Gerard van Honthorst (1592–1656), The Soldier and the Girl (c 1621), oil on canvas, 82.6 x 66 cm, Herzog Anton Ulrich-Museum, Braunschweig, Germany. Wikimedia Commons. 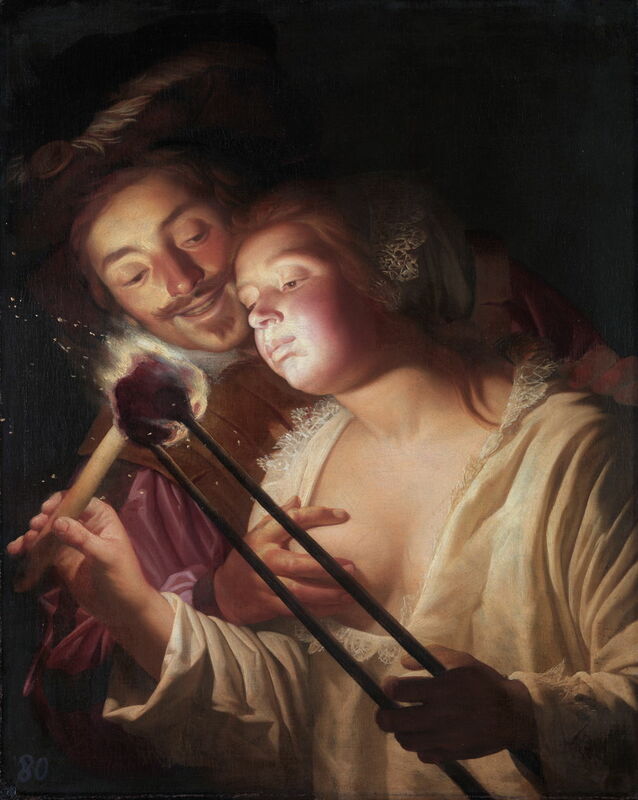 Gerard van Honthorst is another artist whose depictions of lighting at night are so informative – here in The Soldier and the Girl from about 1621. Adolph Menzel (1815–1905), Concert for Flute with Frederick the Great in Sanssouci (1850-52), oil on canvas, 142 x 205 cm, Alte Nationalgalerie, Berlin, Germany. Wikimedia Commons. 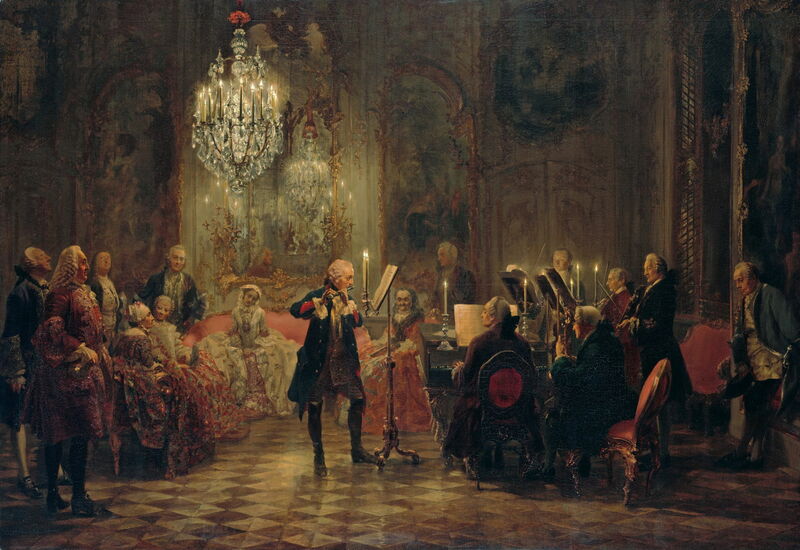 The rich could afford chandeliers full of candles, as shown in Adolph Menzel’s Concert for Flute with Frederick the Great in Sanssouci (1850-52). This concert would have taken place about a century earlier, in about 1750. Those very expensive chandeliers offered around 25 candlepower or candelas, but were inefficient at directing their light. Note that each musician still needs their own candle close to their score. The best way to appreciate what life was really like is to watch Stanley Kubrick’s marvellous movie Barry Lyndon (1975). Kubrick went to great lengths, including using specially-made wide aperture lenses, to shoot his movie in realistic lighting conditions: predominantly natural daylight outdoors, and candlelight indoors. The look of the film is so faithful that it has often been likened to that of eighteenth century paintings. Even during the hours of daylight, rooms indoors were often lit by relatively weak light. The rich could afford to have their windows glazed using small rectangular panes of glass which were manufactured ingeniously from blown cylinders or flattened disks. More ordinary people were generally unable to afford even small glass windows until the seventeenth century. It wasn’t until around 1800, when steam engines were applied to the production of cast glass, that larger sheets of glass could be manufactured reliably. During the first half of the nineteenth century, glass manufacture advanced greatly, reaching a peak with the construction of the all-glass Crystal Palace in London, in 1851. From then on, it was more feasible for an artist’s studio to have much of its north-facing aspect made of glass, to ensure good levels of daytime illumination for painting, even in the winter. 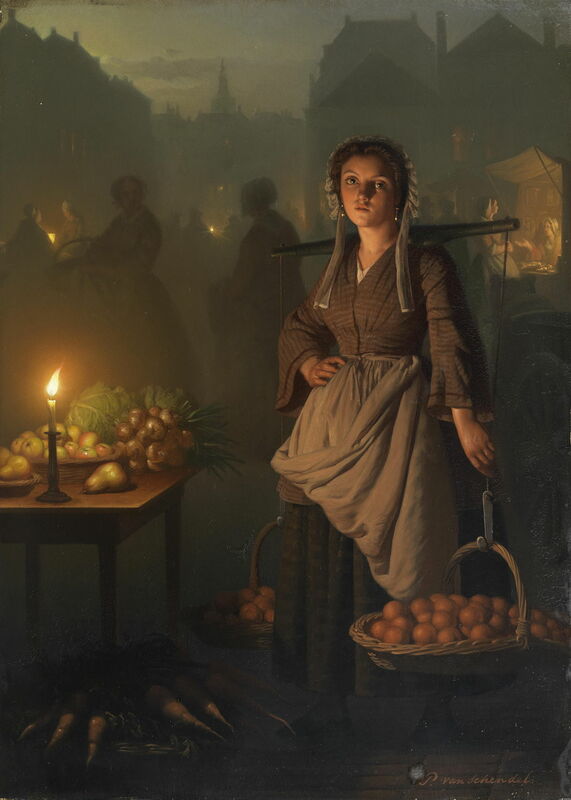 In many towns and cities, even well into the latter half of the nineteenth century, candles were still widely used to light outdoor events, such as Petrus van Schendel’s Market by Candlelight (1865). This painting captures well the resulting soft, romantic glow, and the hazy atmosphere which was a common accompaniment. 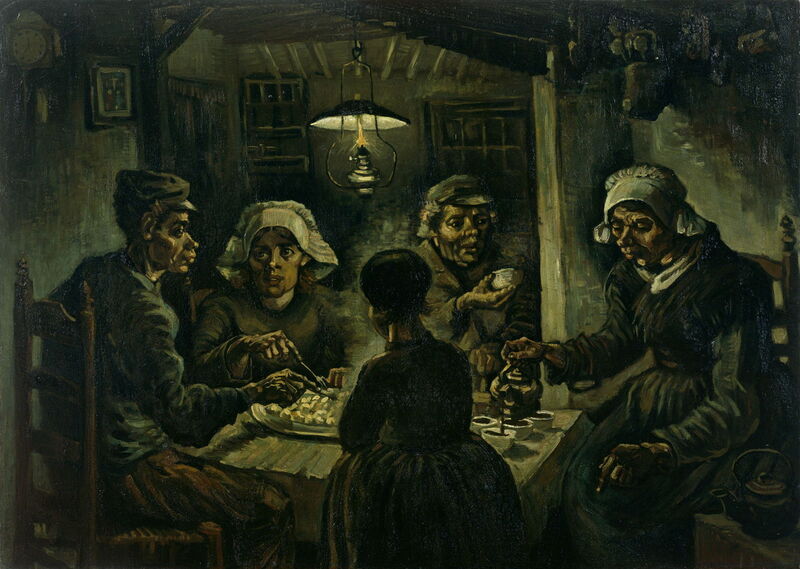 The lighting effects of relatively primitive oil lamps dominate some paintings, most famously Vincent van Gogh’s The Potato Eaters (1885). 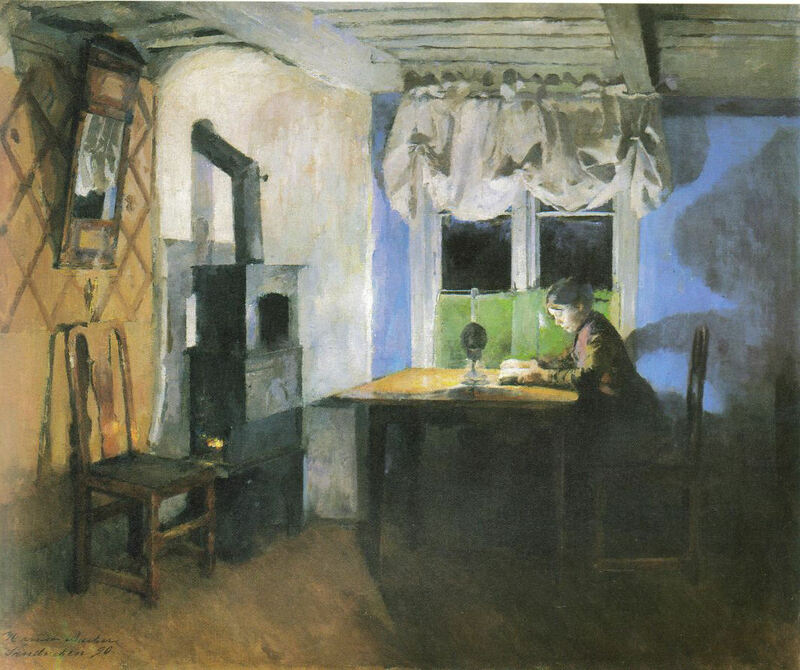 The Norwegian Harriet Backer here shows the starker effect of a kerosene lamp, in her Syende kvinne ved lampelys (By Lamplight) (1890). For many around the world, such kerosene lamps with their 100 or so candlepower are still their mainstay lighting, in the absence of reliable electric supplies. Humans lack the highly-sensitive night vision of nocturnal predators, such as cats, but we can still see remarkably well over a very wide range of lighting conditions. Bright sunlight provides an illuminance of over 100,000 lux, which falls to less than 200 when there are very heavy stormclouds, or twilight. On a clear, moonlit night we can function quite well in 0.25 lux, but struggle when there is only a quarter moon (0.01 lux) or it is overcast at night. Our vision changes as it operates in lower light levels. In bright light, we rely almost entirely on the good colour vision of the cone cells in our retinae, for what is known as photopic vision. Much lower levels of illuminance, such as those of very dark overcast daytime, or moonlit night, start to bring in the rod cells for scotopic vision. Those rods offer no discrimination between colours, making scotopic vision almost entirely monochrome. This explains why paintings which have really been created in very low light, and remain faithful to its effects, are largely monochrome, and why traditional methods place so much emphasis on tones. Even when your eyes have had the half hour necessary to become fully adapted to low lighting conditions, colours are not as intensely chromatic as they are in brighter light. One of the many factors which contributed to increasing ability in the late nineteenth century to paint in high chroma throughout the year was the great improvement in indoor lighting which took place at the time. I will look at another more obvious factor in the next article on colour. Wikipedia on Stanley Kubrick’s Barry Lyndon. Mark Cousins (2017) The Story of Looking, Canongate. ISBN 978 1 78211 911 1. Posted in General, Life, Painting, Technology and tagged Backer, candle, de la Tour, Elsheimer, history of painting, Kubrick, lamp, lantern, light, lighting, Menzel, painting, Schendel, van Gogh, van Honthorst, vision. Bookmark the permalink. What a stimulating essay on a subject where I have never given hardly any thought–even though I enjoy art history a lot! Thank you for this engaging overview of a subject to relevant to both esthetics–and human health (I mean the insight of how essential darkness and silence are to sound sleep and how hard to find in modern life). There is more to come in future articles, as I try to explore how our vision of the world has changed over time. It’s a subject which has troubled me for some time. I say troubled because I haven’t been able to find any other account of this. So here is a first series of rough ideas. I hope that you find the others of similar interest and stimulation. You are an original thinker who follows his insights into new territory! I look forward expectantly to what you will have to say! Have you seen this painting http://allart.biz/photos/image/Ge_Nikolai_4_In_the_Garden_of_Gethsemane_1869_1880.html in the Tretyakov Gallery in Moscow? No, I haven’t. It’s magnificent, isn’t it? Thank you for pointing it out as a fine example of nighttime scotopic vision.